Veteran Indian cricketer Gautam Gambhir has pledged to help Zohra---daughter of the Assistant Sub-Inspector (ASI) of police Abdul Rasheed, who lost his life in an encounter with terrorists in August---with her education for lifetime. 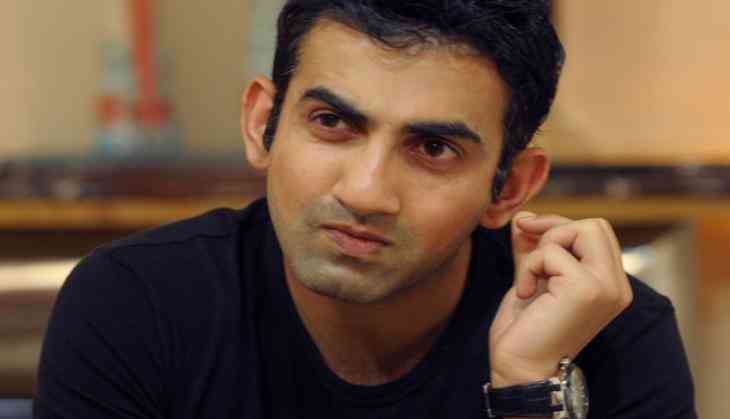 In an emotional message on Twitter, Gambhir said he would help the young child realise her dreams. "Zohra,I can't put u 2 sleep wid a lullaby but I'll help u 2 wake up 2 live ur dreams. Will support ur education 4 lifetime #daughterofIndia. Zohra,plz don't let those tears fall as i doubt even Mother Earth can take d weight of ur pain. Salutes to ur martyred dad ASI,Abdul Rashid. (sic)," said the left-handed batsman in a series of tweets. On 28 August, Rashid was killed when militants fired at him at Mehandi Kadal in Anantnag District of Jammu and Kashmir.Images of Zohra weeping inconsolably at her father's wreath-laying ceremony in Srinagar had gone viral and moved many. This is not the first time when the Delhi cricketer has come out in support of the armed forces and their children. Earlier in April, Gambhir pledged to bear the educational expenses of children of the 25 Central Reserve Police Force (CRPF) personnel, who were killed in a Maoist attack in Chhattisgarh's Sukma District.